Sage 50 is one of the best accounting software that help you quickly organize your finances and let you stay on top of your business. However, at times, you might face issues while installing or using this software. This happens if you try to run Sage 50 in an unsupported environment, like an incompatible operating system, low hard disk space, or an outdated version of web browser. The Automatic Backup Scheduler will not work. Sage 50 E-mail Writer will show “Printer not activated” error. Your Payroll Tax Forms will not run. 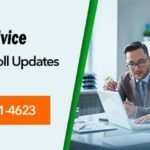 Sage 50 Payroll Tax form updater will not work at some instances. WebSync Wizard will not run. The auto complete ID feature will not work. You might face issues while using touch input in touch screen devices. The best way to resolve Sage 50 issues running on your Windows 8 computer is by upgrading your existing Sage 50 software to the latest version. Follow these steps to easily upgrade your Sage 50 accounting software. Before starting the upgrade process, check your data and back it up. To ensure that your new software installs to the correct location, find out where your existing version is installed. Click Help and then click About. Under Program Details make a note of the program directory. Now click Directories and make a note of the program directory. Sage 50 uses a data service to control the data flow. If you install Sage 50 Accounts on the computer that holds your accounts data, the Sage Accounts Data Service will automatically install. 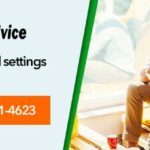 However, if you don’t want to install Sage 50 Accounts on your server, then you would have to install the Sage Accounts Data Service on the server by following the steps mentioned below. Insert the Sage 50 Accounts DVD (if available) and click Additional Tools. Click Data Service Install Software and follow the on-screen instructions. Alternatively, you can go to http://my.sage.co.uk/downloads and log in. In the drop-down list, click Sage 50 Accounts and then in the Full downloads section click New Sage 50 Accounts – Data Service Installer. Now locate the downloaded file and double-click on it. Insert Sage 50 Accounts DVD and click Install software. Alternatively, if you a downloaded copy of Sage 50 Accounts, double-click on the downloaded file and click Run. Check if the directory path matches the installation path you noted earlier. Otherwise, browse the correct folder by clicking on New folder. Now click Upgrade and then click Yes to begin installation. Finally, click Launch Sage 50 Accounts. That’s it. You have successfully upgraded your Sage 50 accounting software to its latest version. This will solve all issues that you were facing while running sage 50 on Windows 8. In case you need more help, we are just a call away. Dial our toll free number 1800-961-4623 and get in touch with our expert technicians who can help you fix all your Sage 50 installation and compatibility issues. 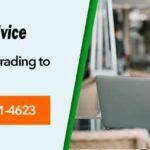 Accountingadvice.co is a renowned remote tech support provider. 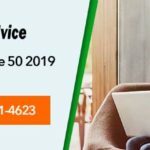 Our expert team of professionals has years of experience in troubleshooting Sage 50 related problems and can help you easily and quickly fix all your Sage 50 accounting software related issues. Whether you are facing issues while installing the software or exploiting its different functionalities, we can give you first call resolution to all your problems. Technicians at Accountingadvice.co are available 24X7, 365 days a year to help you make the most of technology. So, call us at 1800-961-4623 and let our experts handle all your technical woes while you focus on things that are important to your business.